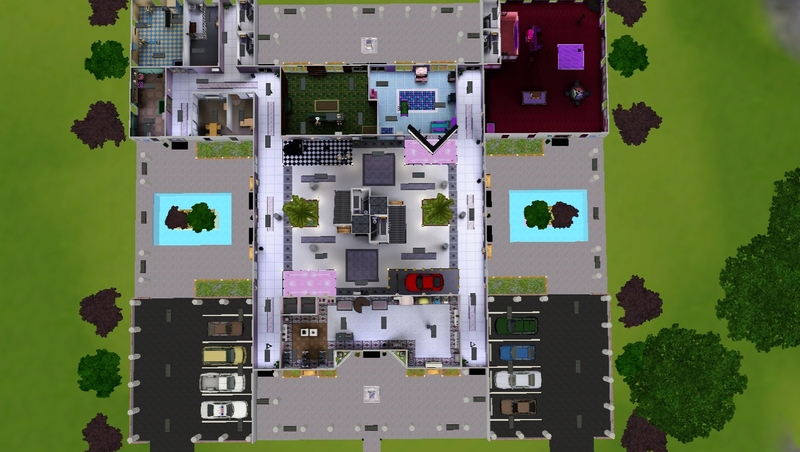 Twin Palms Mall was built at 15 Summer Hill Court in Sunset Valley. 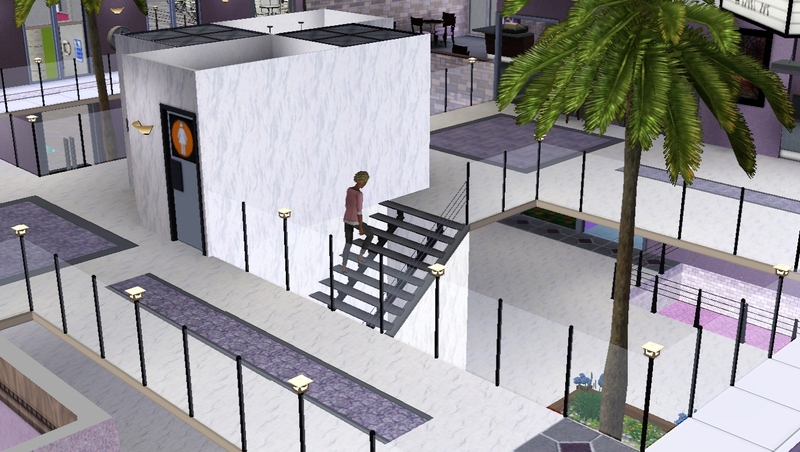 Twin Palms Mall, a true monument to mindless consumerism an misspent teenage youth. 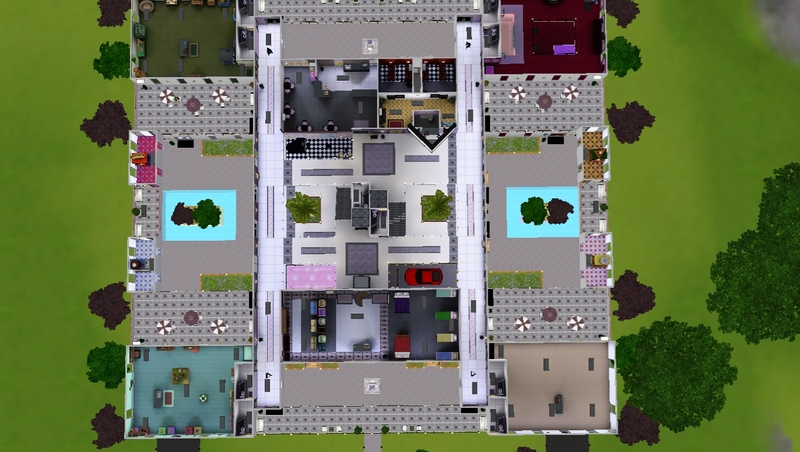 This mall features a variety of stores including: a department store, pet store, toy store, book store, flower shop, arcade, cinema, and food court. 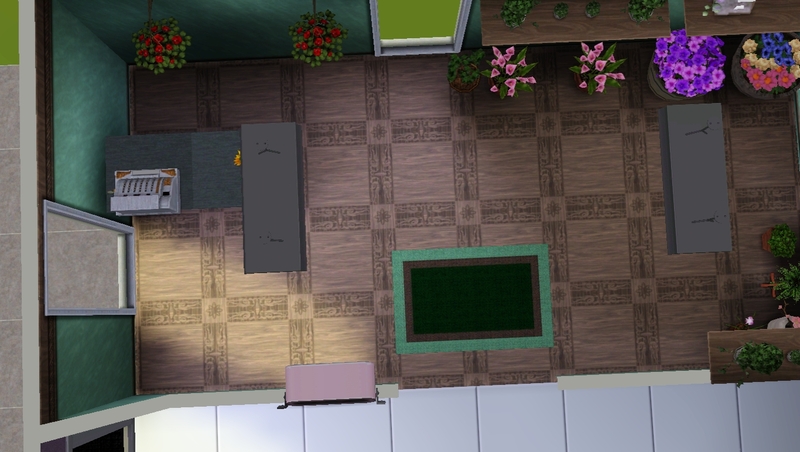 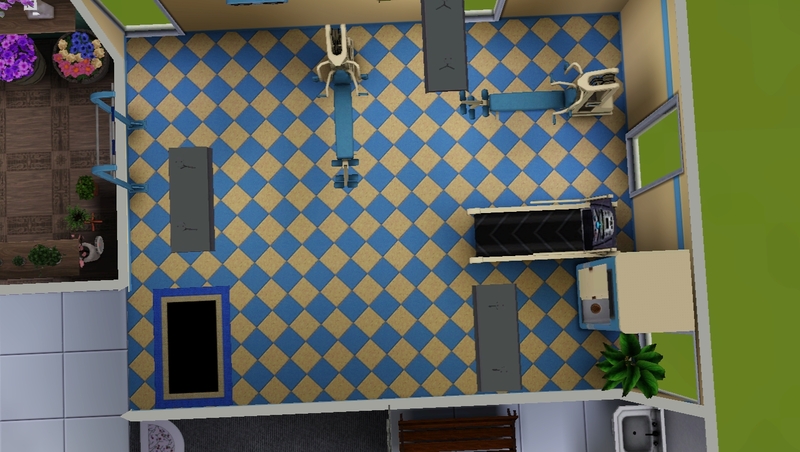 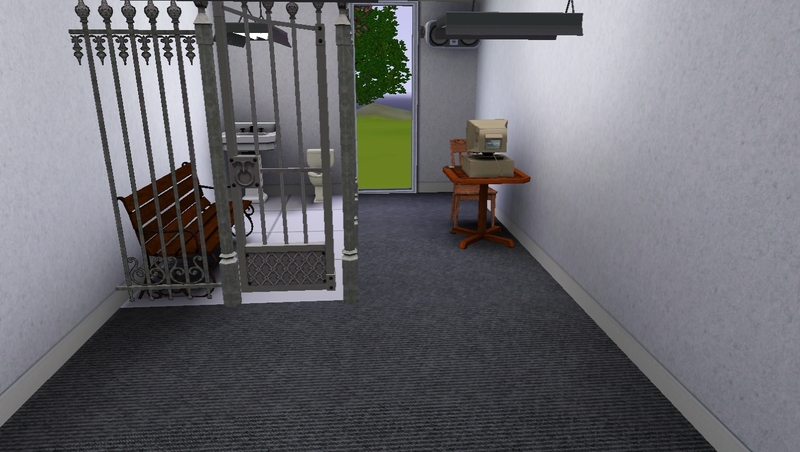 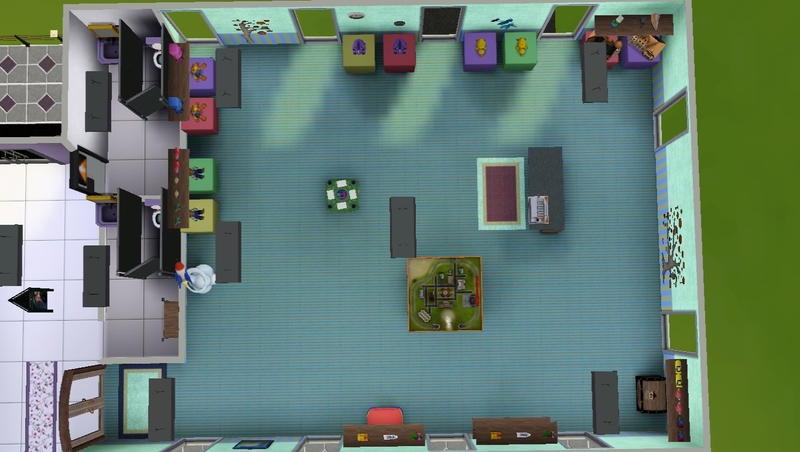 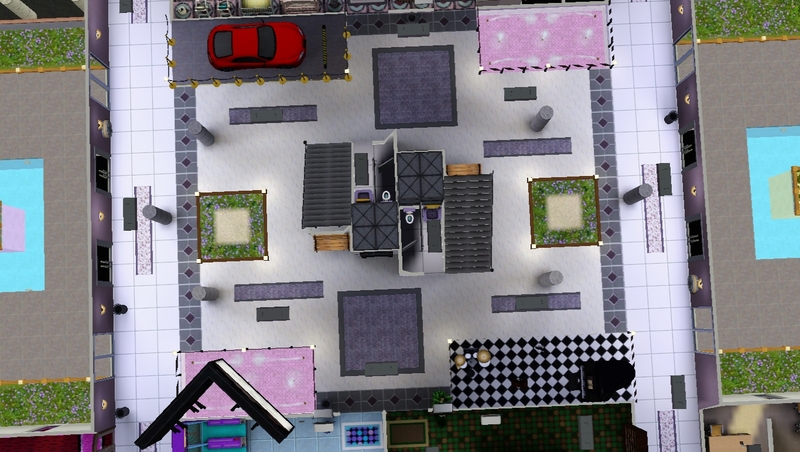 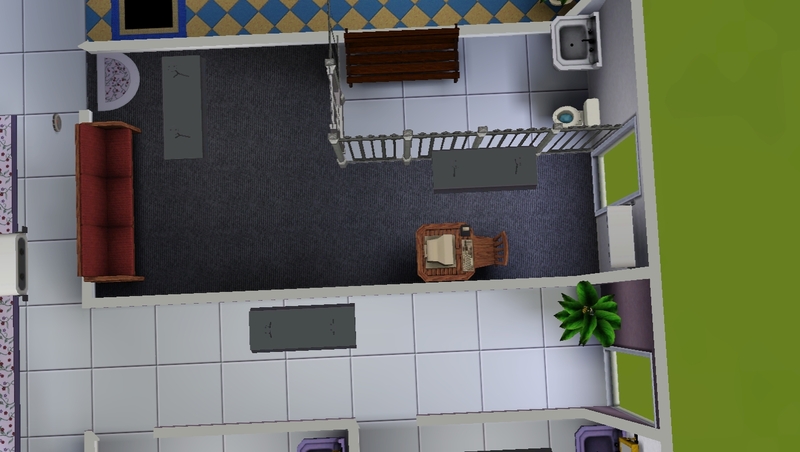 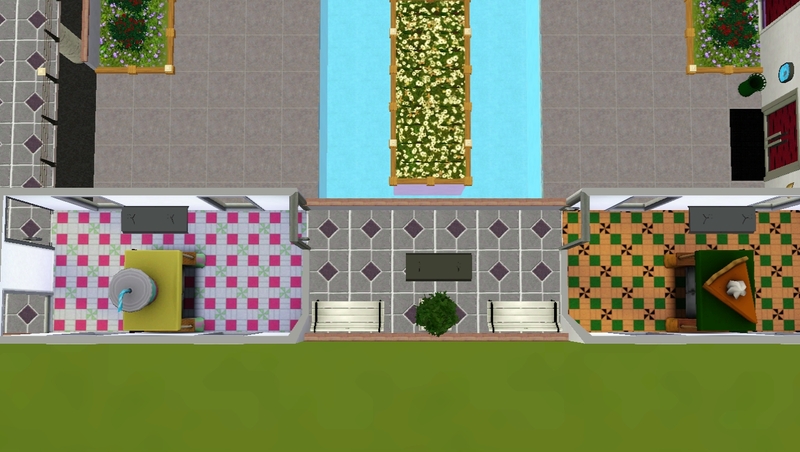 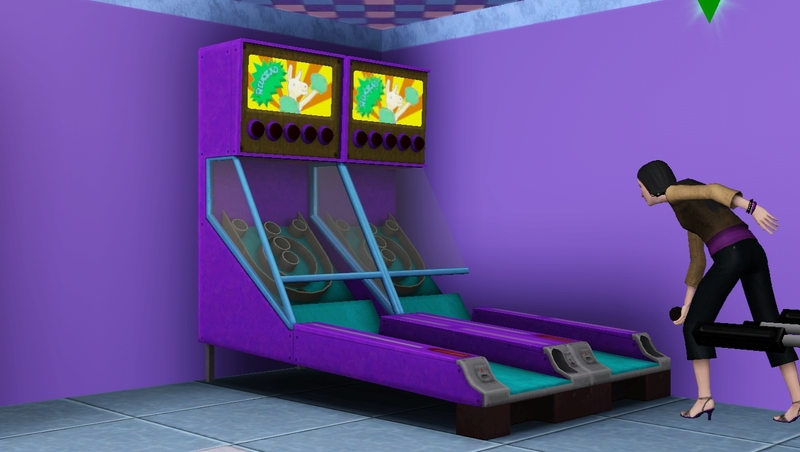 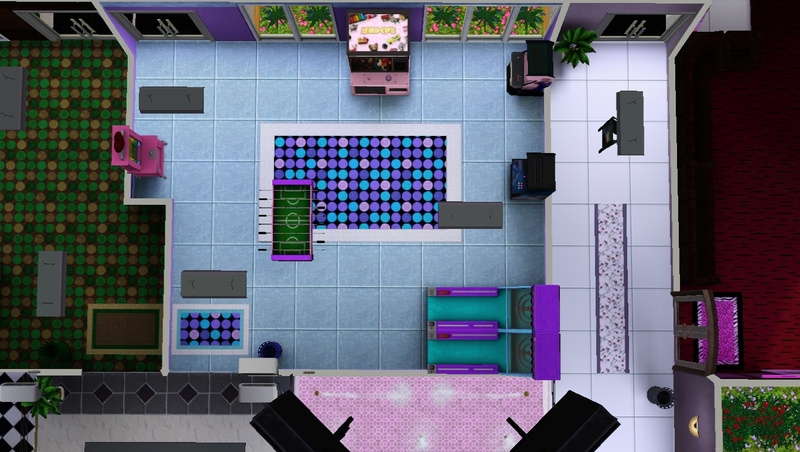 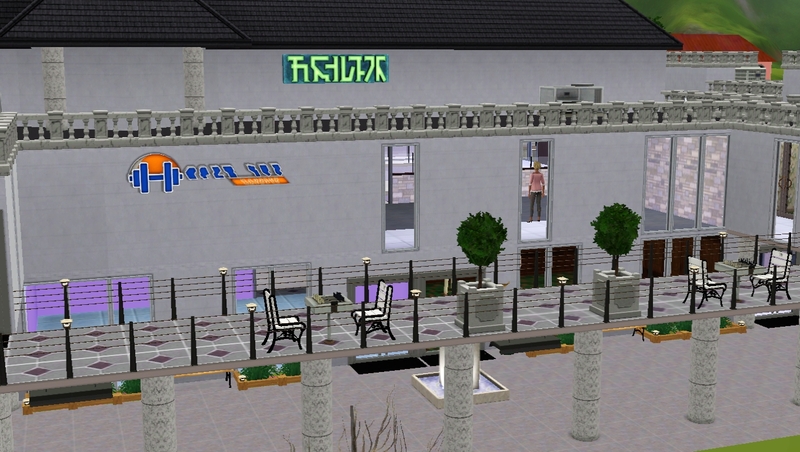 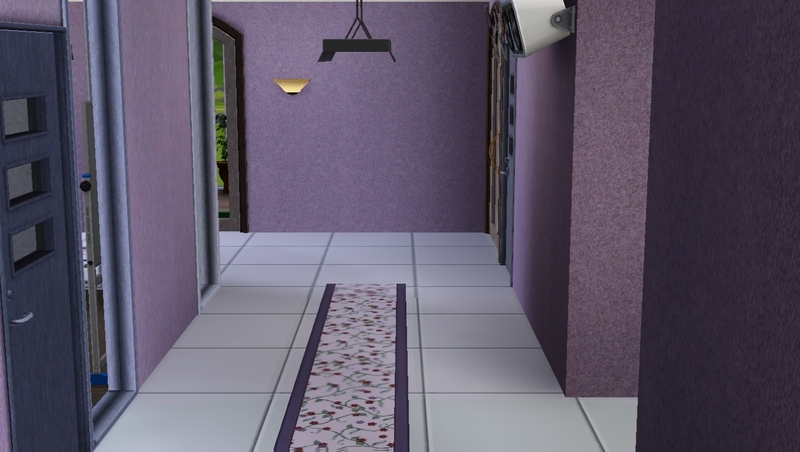 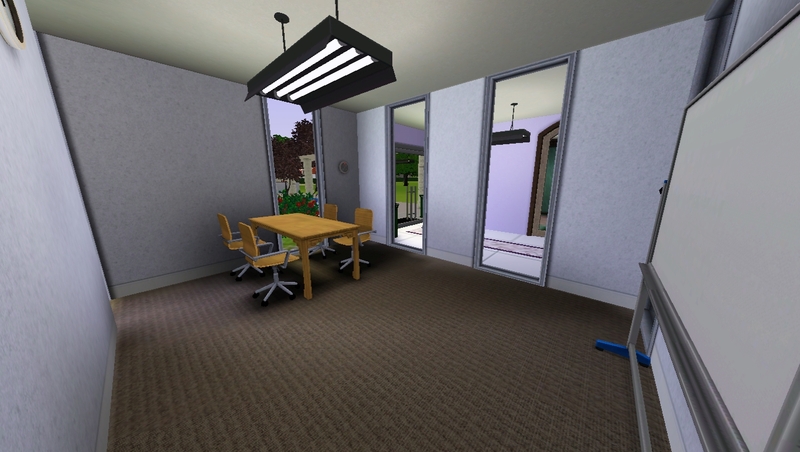 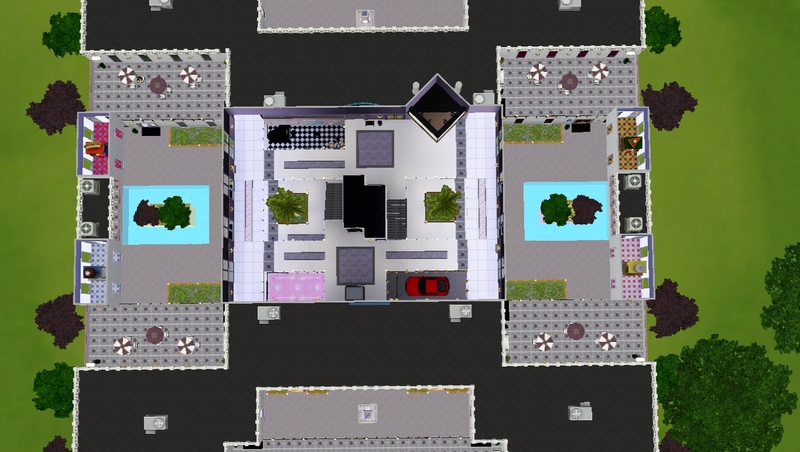 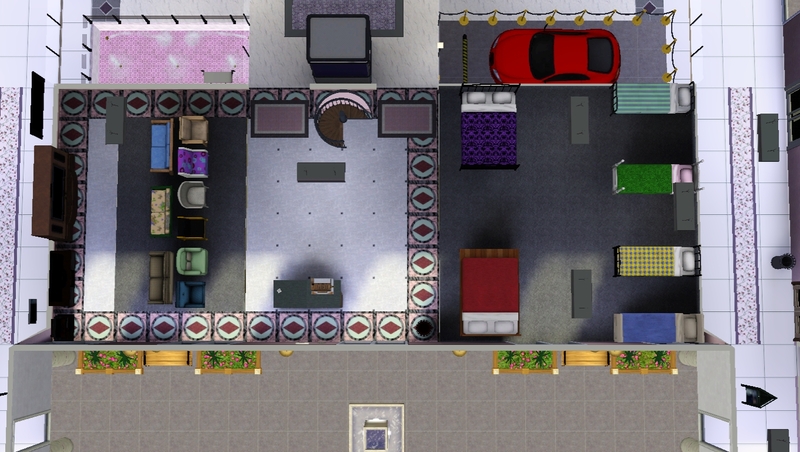 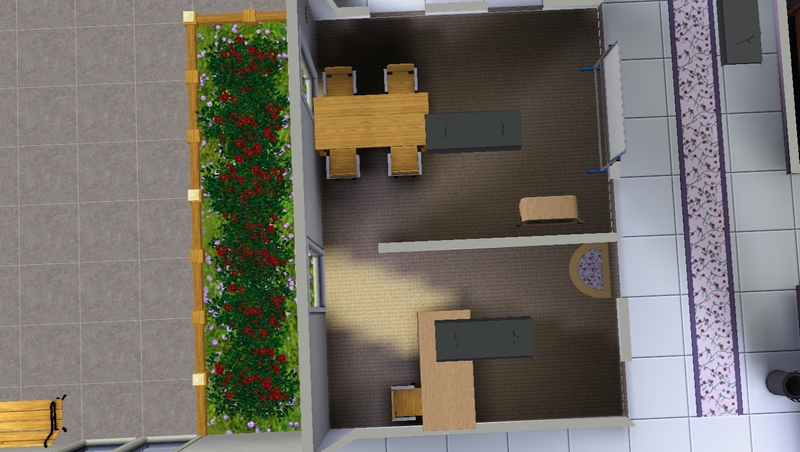 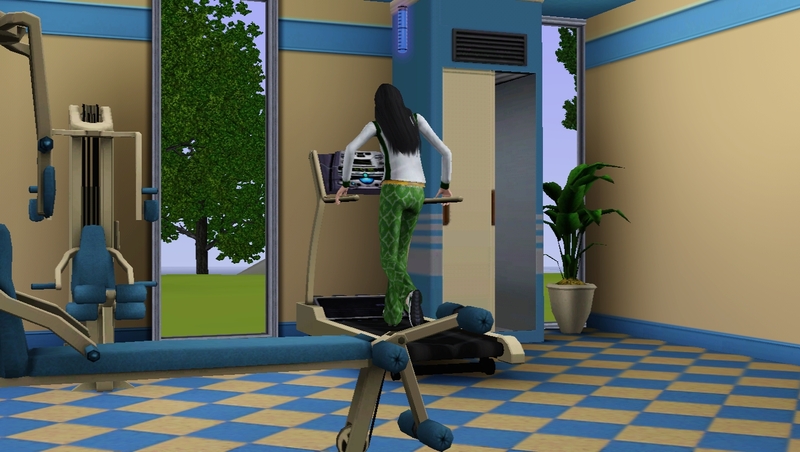 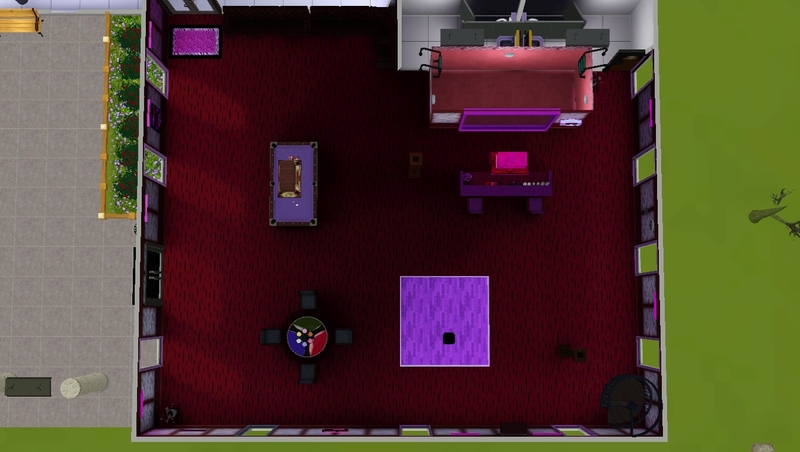 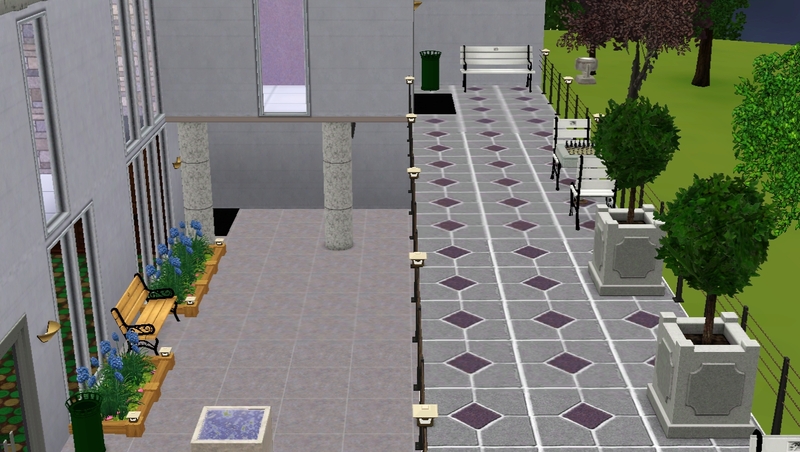 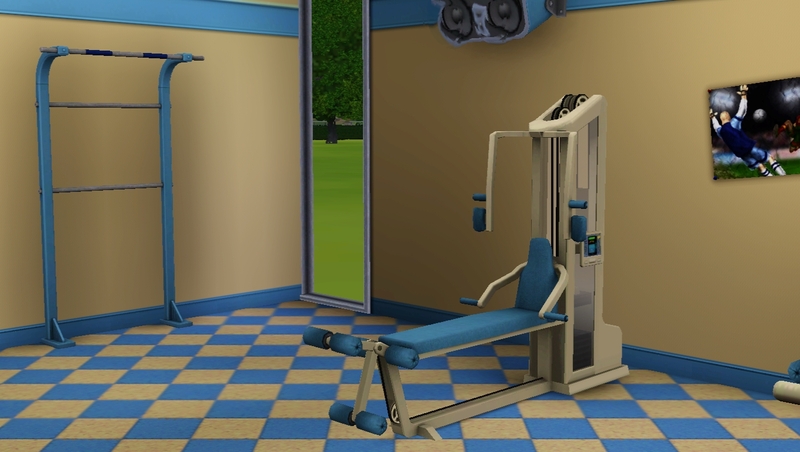 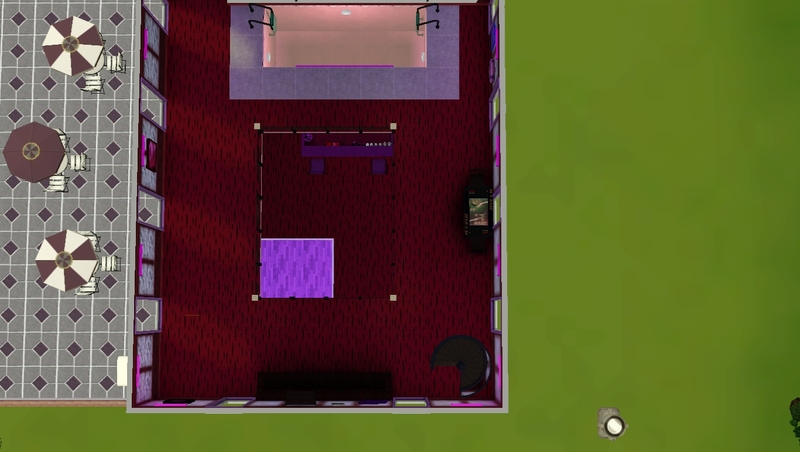 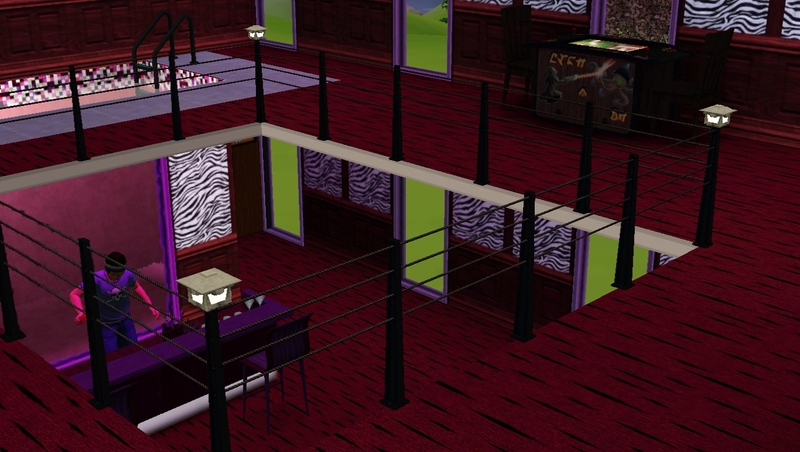 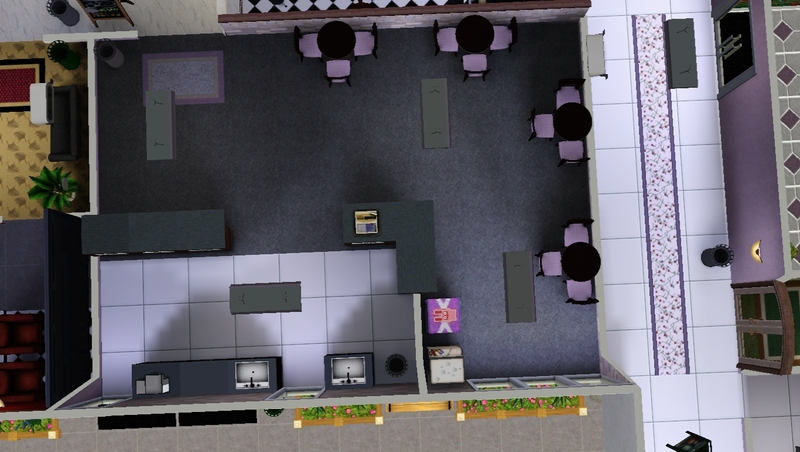 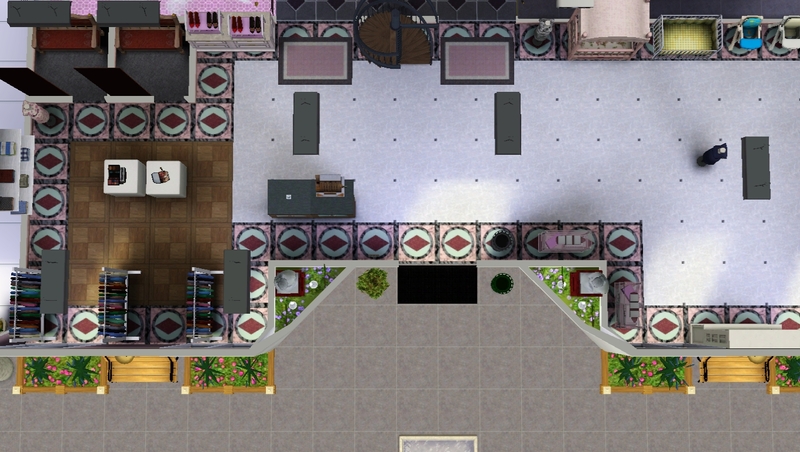 It also has a sales office for renting retail space, a security office with holding cell to placate your misanthropic mall cops, outdoor dining areas, a club, a gym for exercising your active lifestyle sims, long walkways for exercising your decrepit elderly sims, and plenty of bathrooms to prevent piss puddles. 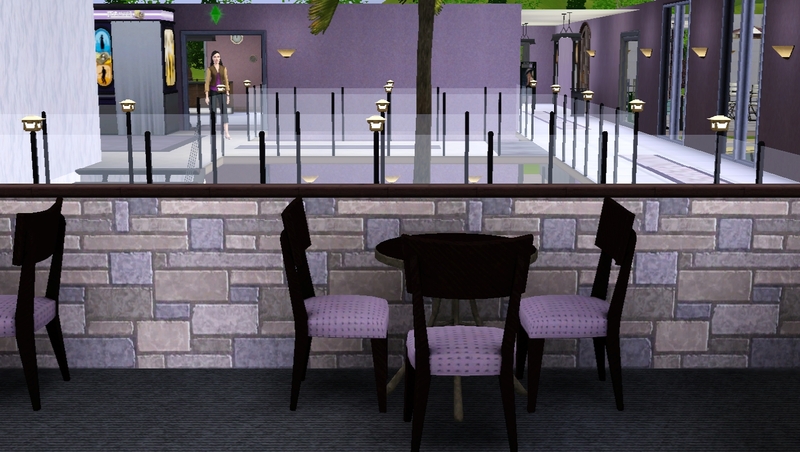 Ideal for holiday shopping safaris or just to hangout at. 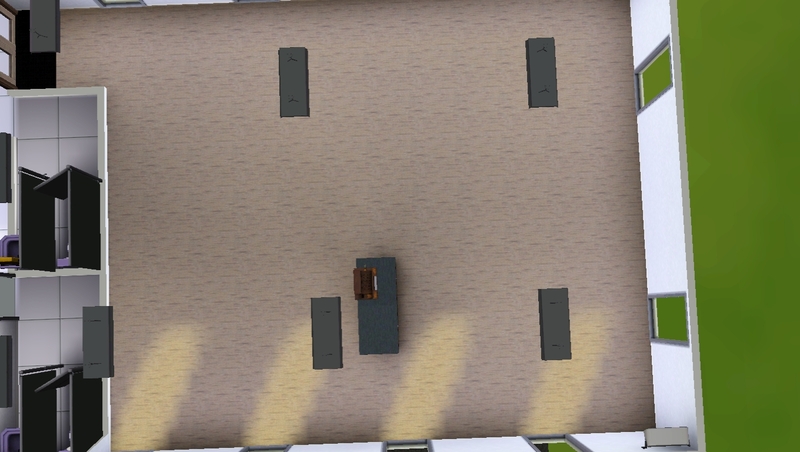 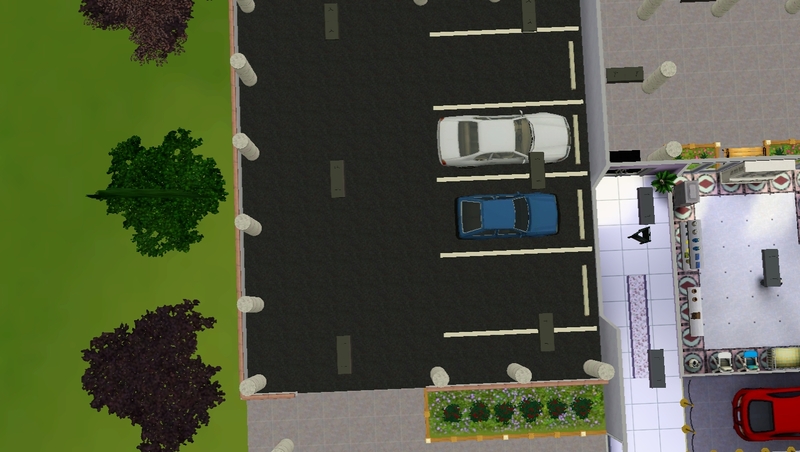 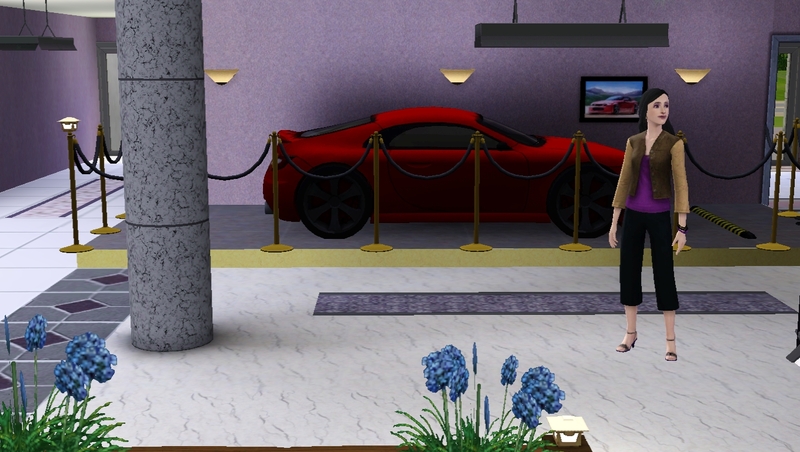 Note- This is a large lot with a large number of objects to be rendered and may cause lag on slower computers.There ae three empty car spaces but NPCs grab them up fairly quickly.The season stands only seem to serve food items for season sims are in. 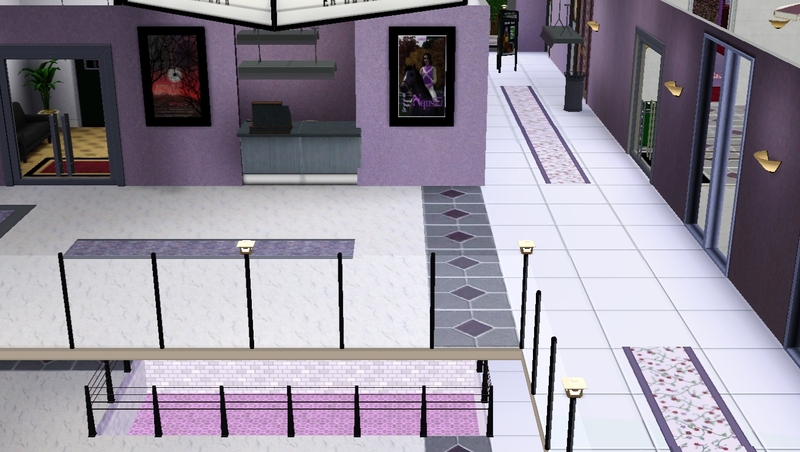 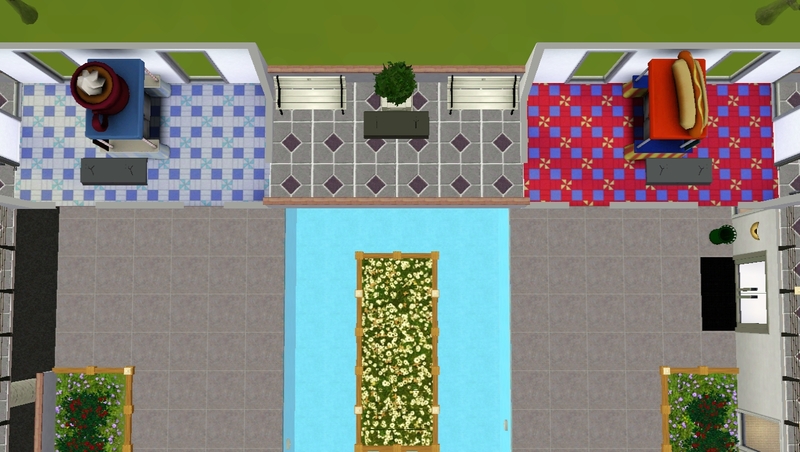 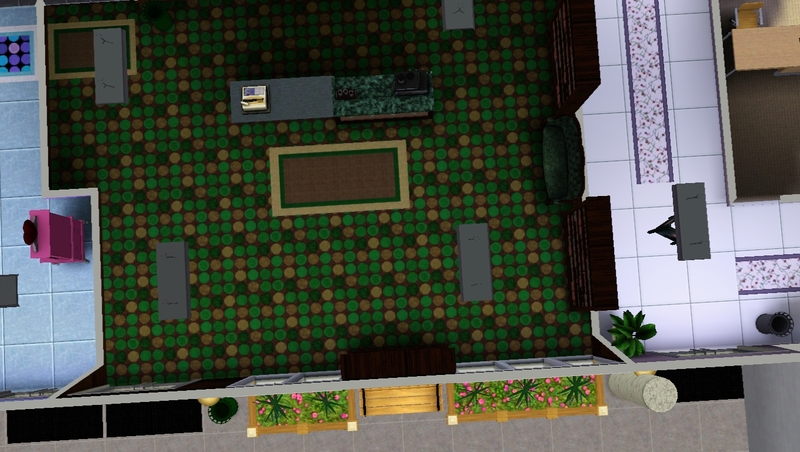 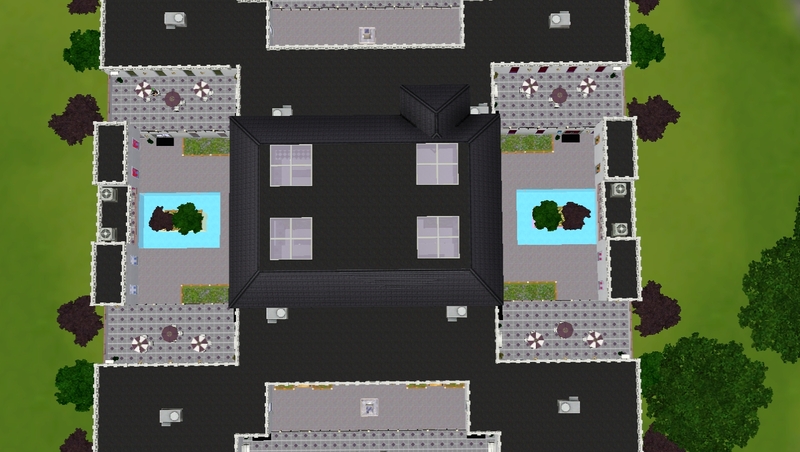 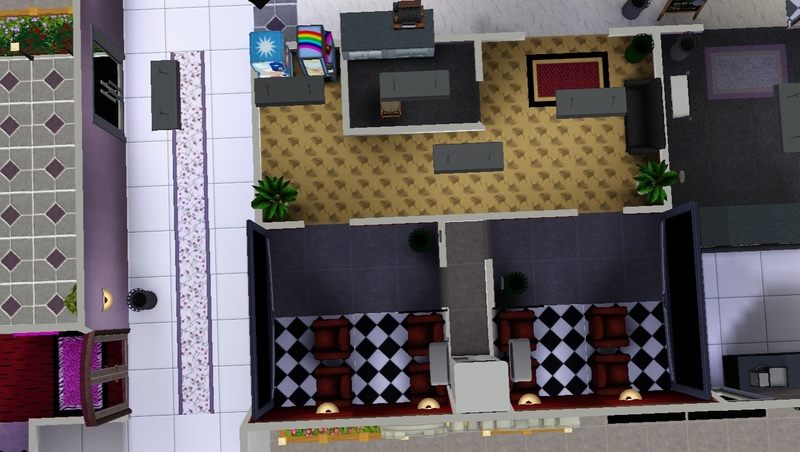 While I tried to make this mall pretty and pleasing there is not much I can do about mangy appearing attendants in your world.One store area was left open so you could decorate as you wish. 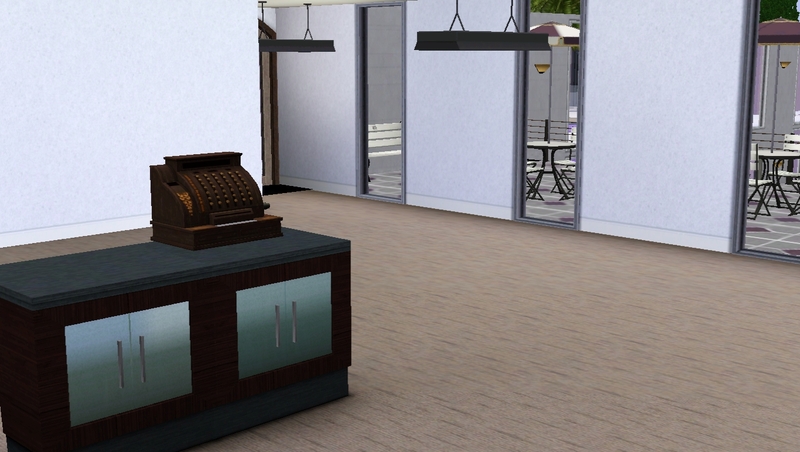 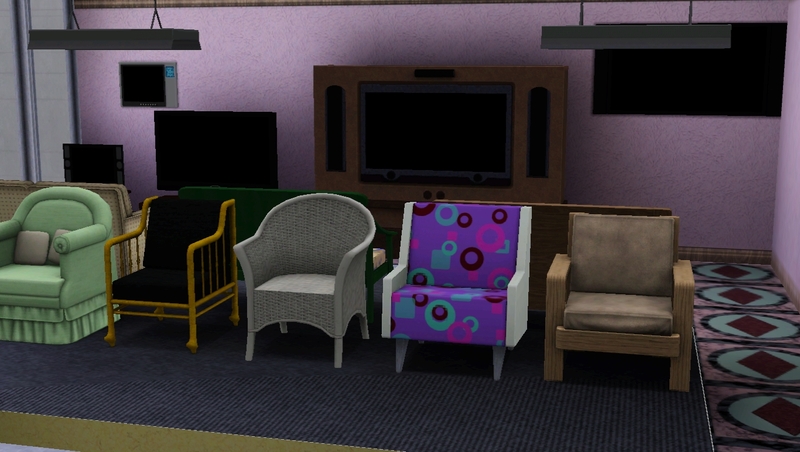 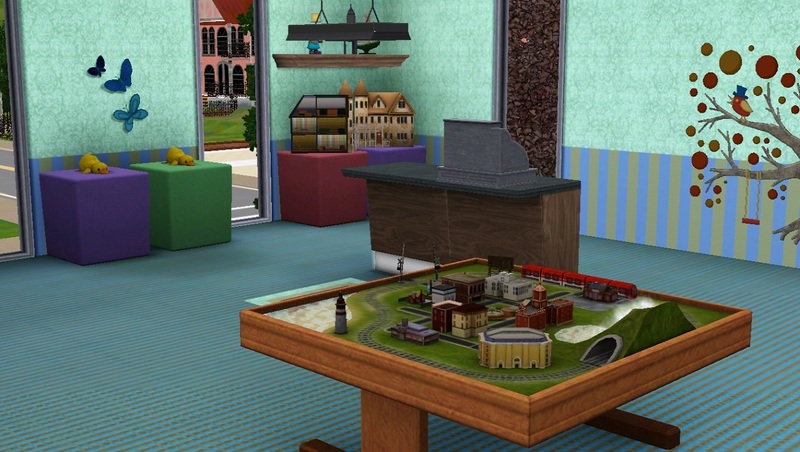 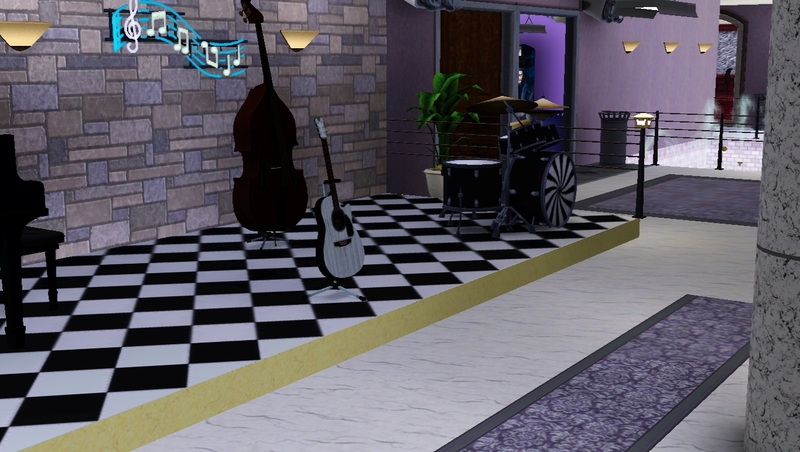 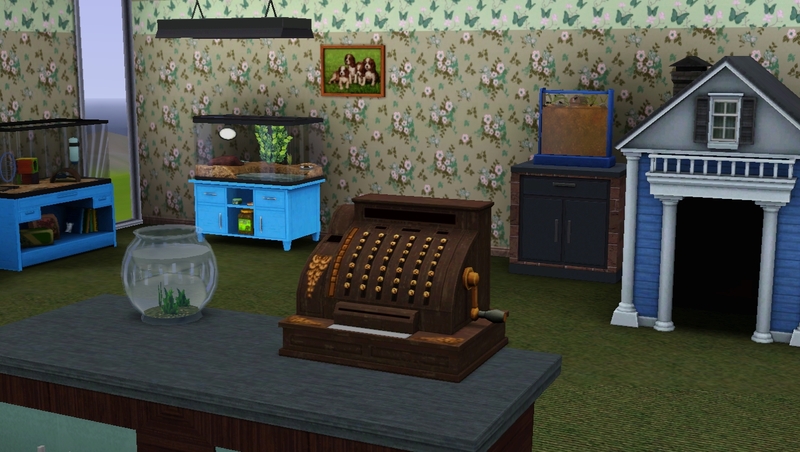 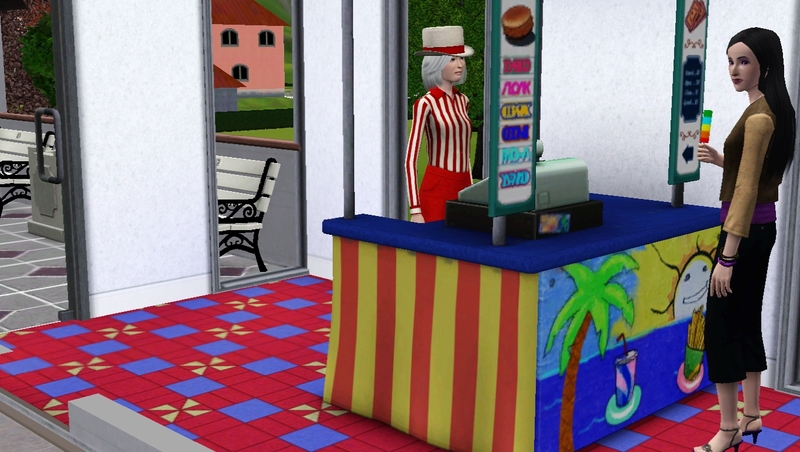 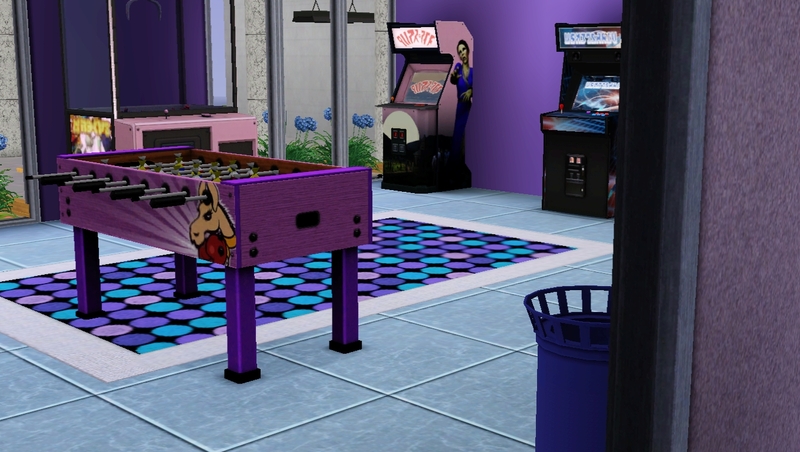 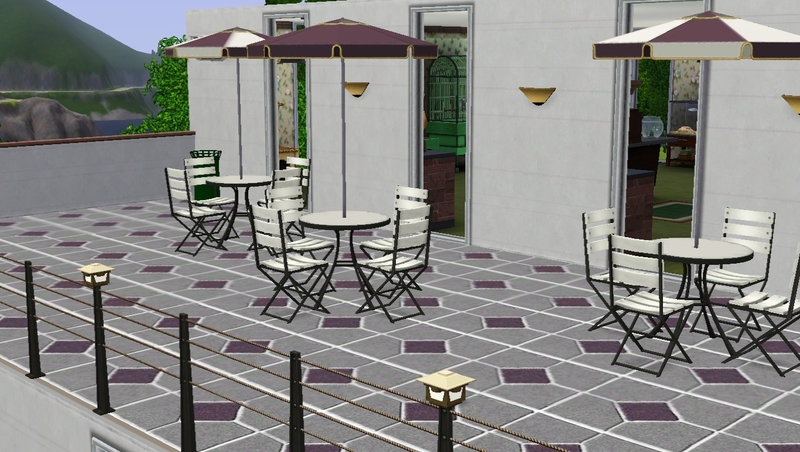 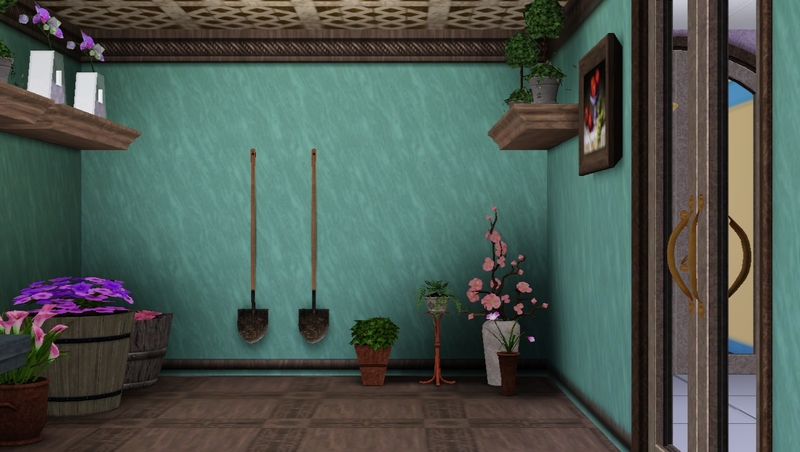 There is no CC in this lot but those of you with the pet store register, midnight hallow set, ticket machine, and other sets from Sims 3 store may find additional function. 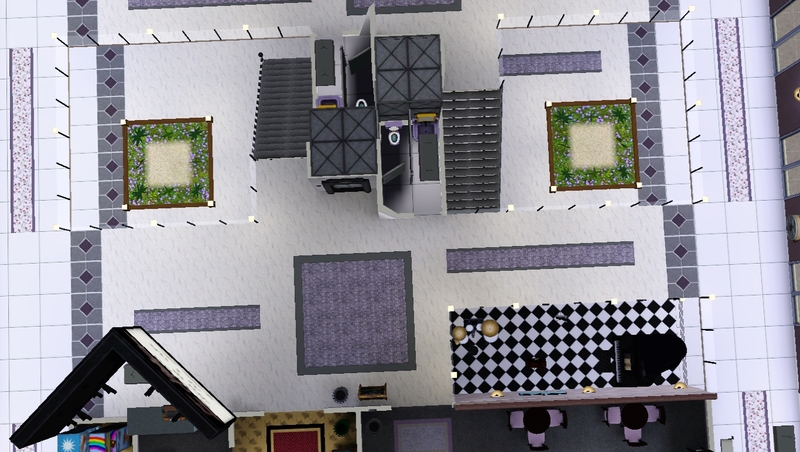 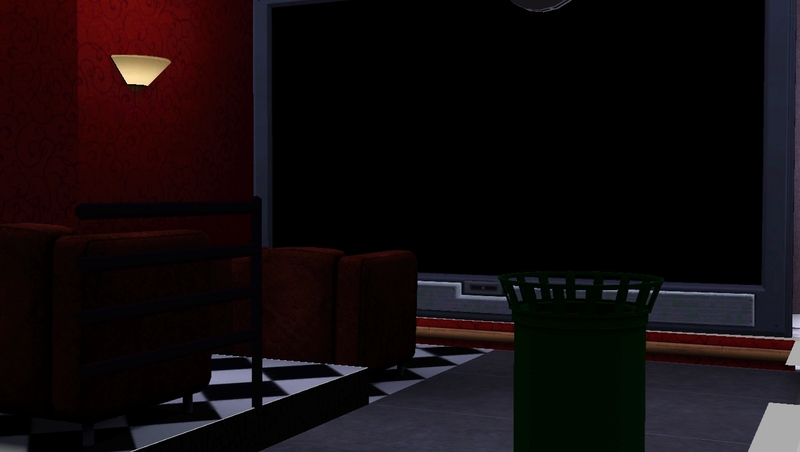 Thanks to Volvenom,SimmyRN,and attuned for their building tips and screenshot suggestions.